Do you remember that great comic from the Dragon Magazine by Phil Folglio? 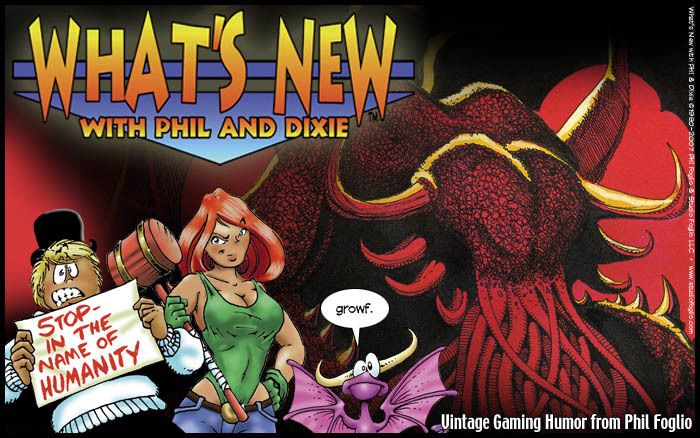 Yes, I am talking about “What’s New With Phil & Dixie“! Recently I noticed that they are making the old strips available to the public for free! You can check all currently available strips here. Please note that they haven’t uploaded everything yet, they keep adding new stuff every week! By the way, if you like what you see, check out their other webcomics: Girl Genius and Buck Godot – Zap Gun for Hire.